Hyperpigmentation is a skin condition – normally harmless – in which patches of skin become darker in colour and show themselves on the face, hands, and other parts of the body. It’s an embarrassment for most people and occurs when an excess of the brown pigment, melanin, forms deposits in the skin. These deposits take the form of flat, darkened patches that are light brown to black in colour. Many of these dark patches are ‘age spots’ and they occur as a result of frequent exposure to the sun. Our skin pigmentation is very sensitive, particularly to over exposure to the sun’s harmful UV rays. Excessive sunbathing is the number one cause of hyperpigmentation. But with the help of hyperpigmentation treatment, this condition can be reversed. The two most successful procedures are chemical peels and hyperpigmentation laser treatment. If you suffer from dark spots on your face, sun damage, or acne scars, a mandelic peel that uses alpha hydroxy acids, or AHAs, can be very effective. The mandelic acid peel gently removes the top layer of dead and dying skin cells and allows new growth to be revealed. For best results, it’s a good idea to undergo several treatments. In this way, you’ll notice a significant improvement in your skin – dark spots will have faded and the inflammation around acne scars will be much reduced. At our skin treatment clinic in London our skilled professionals perform mandelic acid peels. Extracted from bitter almonds, mandelic acid differs from glycolic and lactic acid in that it has bigger molecules that don’t penetrate the skin as deeply. This means there’s less skin irritation after the treatment. In addition, mandelic acid has a soothing, antibacterial effect. First your face is cleansed, before a primer is applied. The mandelic peel solution is left on the skin for between 5 and 15 minutes before removal. Generally, you’ll feel a warm sensation as it does its work, however, some clients feel nothing at all. The skin may look pinker than usual, but within a few days this will disappear and your face will have reduced signs of acne inflammation and dark spots and will look more luminescent. 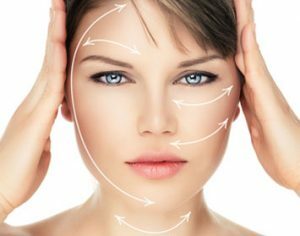 A Cosmelan skin peel is one of the most effective skincare treatments available. This peel not only reduces dark, or brown, spots, but also eliminates other types of discolouration of the skin, as well as hyperpigmentation. Cosmelan substantially reduces the production of melanin in the skin and is ideal for people with heavy pigmentation or age spots. The Cosmelan peel works by inhibiting the production of an important enzyme, tyrosinase, which helps in the formation of melanin. There are several substances in the Cosmelan formula that block this enzyme. Safe and with minimal side effects, a Cosmelan peel has the ability to rejuvenate the skin, lighten dark areas and reduce or, in some cases, even remove age spots entirley. Applied as a mask, Cosmelan is left on the face, hands, arms or the neck, for no longer than 8 hours, depending on how severe the skin problem is. Lifting the pigmentation and keeping dark spots under control is Cosmelan’s strength. It contains no hydroquinone, so it’s safe and can be used for almost all skin types. Peeling and redness will occur in the first 3 to 5 days after treatment, but this soon clears up and you’ll notice that your skin is clearer, smoother and is left with a lovely sheen. There’s another cutting-edge skin peel treatment that’s perfect for reducing, or even eliminating, skin blemishes like age and sun spots, freckles and melasma and that’s the Dermamelan peel. This most effective treatment increases the smoothness and luminescence of the skin and evens out skin tone for a fresh and younger looking complexion. A Dermamelan peel hydrates, while increasing the plumpness of the skin and it also improves skin tone. It’s effective on an array of melanic skin blemishes, contains no hydroquinone or TCA, and leaves the skin with a wonderful luminosity. Phase 1 – This involves the application of the peel solution by a skilled skin therapist in our London skin treatment clinic. The strength of the peel is adjusted according to skin type and skin problem. Phase 2 – Here, a daily application of a specialised skin product is applied. This is designed to maintain the peel results already achieved. The beauty of the Dermamelan peel is that it can be used on the face, neck, chest, hands and some other parts of the body. Results become evident after a week or so of treatment, and the peel works by blocking the enzymes involved in the creation of skin pigmentation. With excessive exposure to the sun our skin becomes damaged. Rough and leathery skin, freckles, loss of elasticity, loss of skin tone, spider veins on the face, age spots, fine wrinkles and skin cancer can all be traced to excessive sun exposure. Statistics show that between the ages of 35 to 50 there’s a dramatic increase in changes to our skin – changes caused mainly by the sun’s harmful UV rays. It’s as well, from an early age, to avoid sunbathing and keep your face out of direct sunlight wherever possible. This will help reduce the risk of developing sun damaged skin. Photo-ageing caused by ultraviolet light, acts on the surface of the skin and leads to broken blood vessels, irregular pigmentation, uneven skin tone and discolouration. Repeated ultraviolet exposure breaks down collagen and also attacks the elastin in our skin. The sun’s rays can also cause chronic inflammation of the skin, as well as an increase of elastin that forms into thick solar elastosis bundles. There’s a reduction in collagen too and bundles are also formed which inhibit the tightness of the skin and loose folds result. Rejuvenation treatments such as Cosmelan, Dermamelan and TCA peels are effective and help improve sun damaged skin.